One reason we should learned church history is to be equipped to fight errors our ancestors already countered. 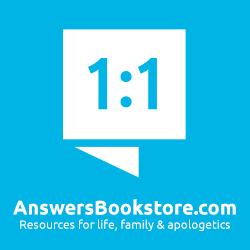 For example, what we learn in this brief biography is that the Jehovah's Witnesses are nothing new – already back in the 4th century a man named Arius was teaching that Jesus was not fully divine. Another reason we should know our church history is to learn about and praise God for the mighty deeds He has done in the past. Arius' teaching confused many but Carr shows readers how God prepared another man to fight for the Truth with unwavering courage. He was Athanasius, the man our Athanasian Creed is named after (under the mistaken idea that he wrote it – it is, however, an accurate summary of what he taught). He was an Egyptian bishop who through his lifetime had to deal with 9 Roman emperors. Three of these were pagan, and two supported Arius – that's five in total who thought Athanasius was a troublemaker. They banished him, and caused him to flee multiple times. 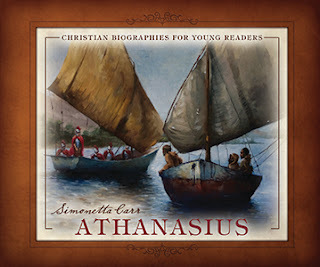 Carr recounts one great escape story where Roman soldiers asked the man himself where Athanasius was. His answer: "He is not far from here." Nothing could stop Athanasius from teaching about God, explaining about Jesus and the Holy Spirit too. In the conclusion Carr shares Athanasius' apt nickname – contra mundum – which is Latin for "against the world." This picture book is intended for children in Grade 2 or older, but adults will enjoy reading it too. What Carr has done here is condense a lot into a concise, beautifully-illustrated package – there are 40 pictures, many of which are full page. 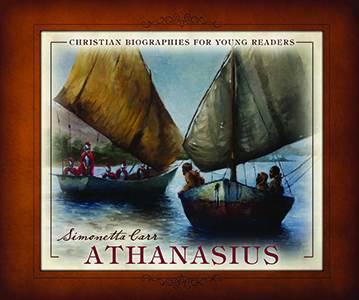 To date Simonetta Carr has crafted nine books in her "Christian biographies for young readers" series and this may be her very best. 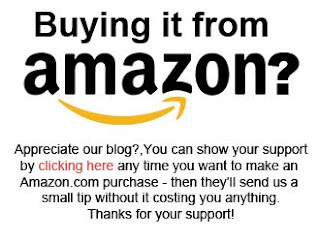 You can buy a copy at Amazon.com by clicking here and at Amazon.ca here.